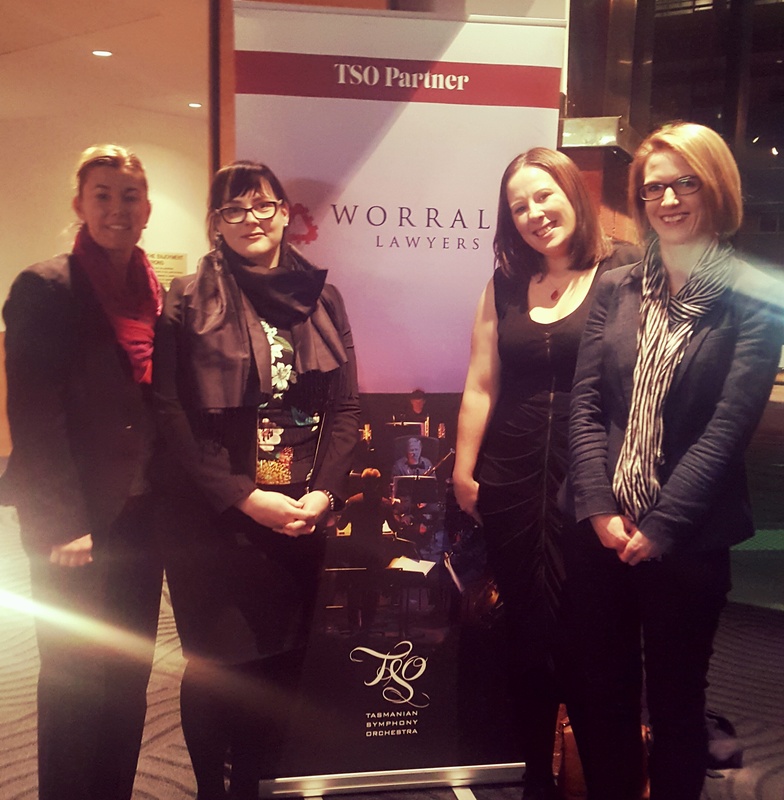 Worrall Moss Martin Lawyers as the Legal Partner of the Tasmanian Symphony Orchestra (“TSO”) was the sponsor of the TSO’s performance of “Bach the Frenchman” on Thursday 17 August 2017. Kate Hanslow, Kimberley Martin and Kate Moss (pictured) together with 12 guests of Worrall Lawyers enjoyed a spectacular evening at the Federation Concert Hall, which included pre-concert drinks and canapés and an evening of listening to Bach at his trailblazing best. With three soloists – violin, flute and harpsichord – Bach’s Brandenburg Concert No 5 is a stunner, particularly when the harpsichord breaks away from the pack and delivers a cadenza of unprecedented length and complexity. Matthew Halls made his first appearance with the TSO as a Baroque specialist, conductor and harpsichordist. Equally wonderful is Bach’s Orchestral Suite No 4, where the ever versatile Joann Sebastian doffed his hat to French musical practices. Appropriately, Bach’s music sits alongside works by two eminent French contemporaries, Jean Féry Rebel and Jean-Philippe Rameau. Bach is the object of admiration in a new work by Australian composer Richard Mills, here receiving its first performance. The TSO is a Tasmanian cultural icon and Worrall Lawyers is proud to be associated with them. Established in 1948, the TSO gives more than 70 concerts annually including seasons in Hobart and Launceston, and appearances in Tasmanian regional centres. The orchestra is a much loved cultural institution and “a source of pride” to 90% of Tasmanians, according to a recent survey. This was the second of two major concerts which Worrall Moss Martin Lawyers sponsored in 2017. We look forward to hosting future TSO events. For more information about the TSO and for tickets see here.